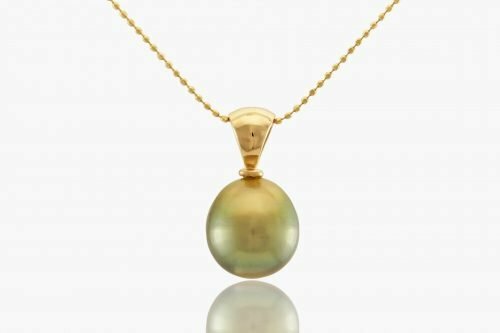 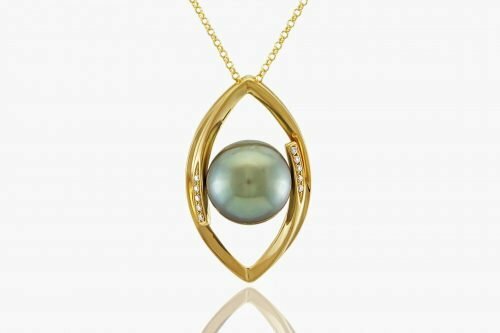 holds a very rare 10mm round, coppery-gold, Fiji Pearl of the highest grade. 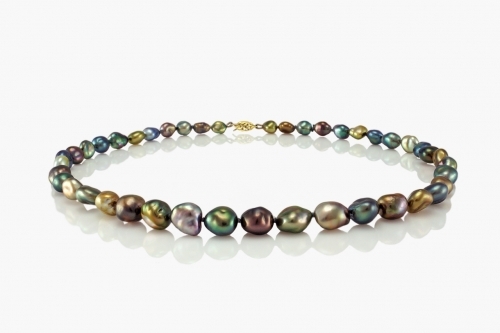 Pearl exudes subtle overtones of pink and green. 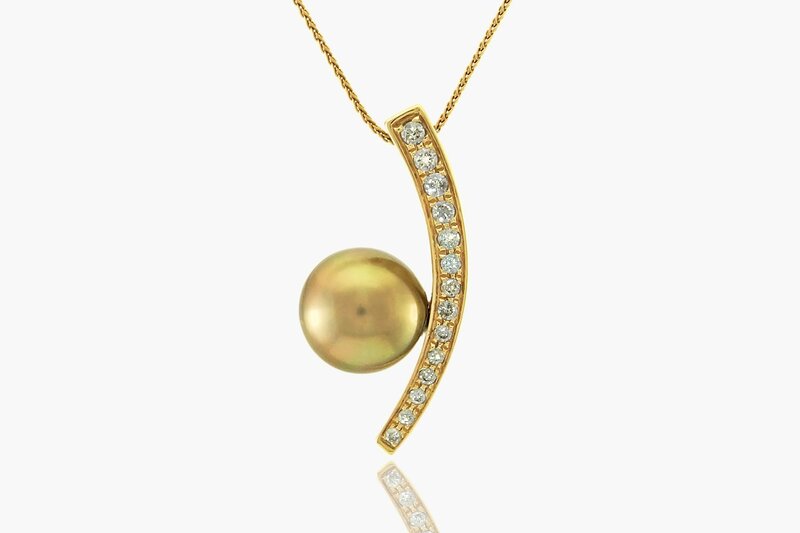 Includes a 14 karat gold wheat chain. 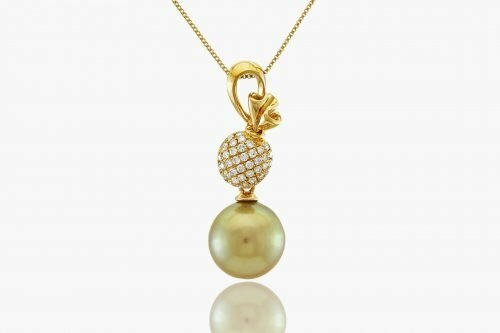 If you wish to purchase the pendent without the chain or a different style of chain please request pendent price only or chain options.